In the summer of 2011 my wife Rosemary, our two granddaughters and I decided to drive our Chevrolet Malibu to south Texas. This meant that in the back seat we had an already difficult Rebecca, a 13 year-old full-fledged teenager and her sister Lauren who was 8. For the former, Rebecca, most of the canyons we visited, including the Grand Canyon were simply rocks upon rocks. For Lauren there was usually no comment but in Meteor Crater Arizona (it was 40 Celsius when we arrived around noon, she found much that interested her. I would say she was fascinated. Throughout the whole expedition at the crater I felt a strange degree of unreality which I have never been able to explain to myself or to others. Particular to this was the loss of a sense of the size of the crater which looked smaller than it really was. When we visited Monument Valley the monuments were really a lot smaller than in the John Wayne/John Ford films. As I survive these days of humid melancholy with that erstwhile teenager still a teenager in our home I discovered a little nagging explanation for my Meteor Crater unrest. 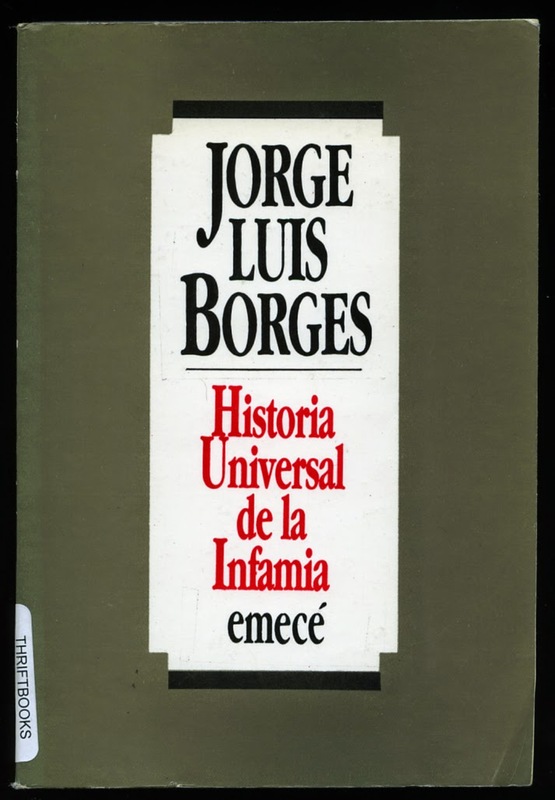 I never did see Jorge Luís Borges in my many trips to the Pigmalion Book Store on Avenida Corrientes in Buenos Aires. We simply never went on the same days to buy our books in English. Had I seen him I would not have been surprised. And I know he would have worn a tie and at the very least a sport coat and slacks. In those years , 1965, 1966 when I went to Pigmalion I was much too ignorant to appreciate Borges as I do now. I would not have known that he had written a book in 1954 called Historia Universal de la Infamia and that one of the essays would be about the life of Billy the Kid. He begins his story, El Asesino Desinteresado – Bill Harrigan with a description of the area that we drove through in our Malibu. In some ways the four of us in our Silver Malibu now seem to be as strange as if I had spotted a blind poet in a tie, in spite of the sweltering heat scampering gingerly with his cane at Meteor Crater. La imagen de las tierras de Arizona, antes que ninguna otra imagen: la imagen de las tierras de Arizona y de Nuevo México, tierras con un ilustre fundamento de oro y de plata, tierras vertiginosas y aéreas, tierras de la meseta monumental y de los delicados colores, tierras con blanco resplandor de esqueleto pelado por los pájaros. En esas tierras, otra imagen, la de Billy the Kid: el jinete clavado sobre el caballo, el joven de los duros pistoletazos que aturden el desierto, el emisor de balas invisibles que matan a distancia, como una magia. The image of the lands of Arizona before any other: the image of the lands of Arizona and New Mexico, lands with an illustrious base of gold and silver, of dizzying arid heights, lands of the monumental mesas and of delicate colours, lands with the white glare of skeletons picked clean by birds. In those lands, another image, that of Billy the Kid, the man st onr with his horse, the young man of the hard pistol shots that deaden the desert, the source of invisible bullets that kill at a distance like magic. El desierto veteado de metales, árido y reluciente. El casi niño que al morir a los veintiún años debía a la justicia de los hombres veintiuna muertes—"sin contar mejicanos". The desert streaked of metals, arid and shining. The almost-boy who upon dying at 21owed justice for 21 deaths – “not counting Mexicans”.